Stila has created 4 lip and cheek stains including: Mango crush-a shimmering coral color, Pomegranate crush- a deep berry color, Raspberry crush- a shimmering pink and Yumberry- a reddish color. 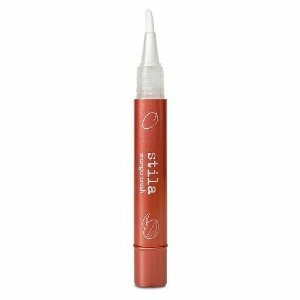 According to Stila the stains should customize to your exact shade as its infused with naturally staining super fruits. This formula apparently does this by reacting with your pH levels. The stains also contain Vitamin A,C and E which help moisturize while providing antioxidant protection. Water (Aqua), Glycerin, Butylene Glycol, Alumina, Sodium Carbomer, Trisodium EDTA, Flavor (Aroma), Potassium Sorbate, Alcohol Denatured, Carica Papaya (Papaya) Fruit Extract (Papaya), Ananas Sativus (Pineapple) Fruit Extract (Pineapple), Mangifera Indica Fruit Extract (Mango), Sodium Hyaluronate, Phenoxyethanol, Riboflavin, Tocopheryl Acetate, Ascorbic Acid (Vitamin C), Tin Oxide, Benzyl Salicylate, May Contain (+/-): Mica, Titanium Dioxide (CI 77891), Red 33 (CI 17200), Red 6 (CI 15850), Orange 5 (CI 45370). The reviews for this lip and cheek stain are very mixed some found it worked for them. They liked the natural color and the nondrying effect. However, others found it didn't last like a stain should and the color came out a little patchy. The Stains are quite pricey at around $28. 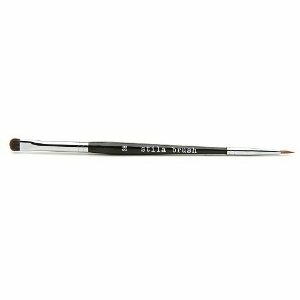 You are currently browsing the archives for the Stila category.